Private estate "Lira" is located in the town of Yaremche. 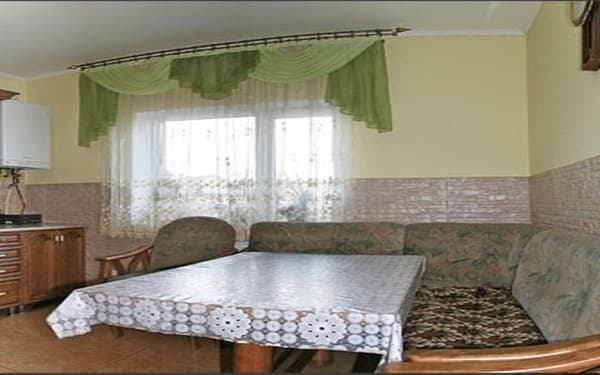 Simultaneously, it is possible to accommodate 8 people (4 double rooms), a total area of ​​90 square meters. 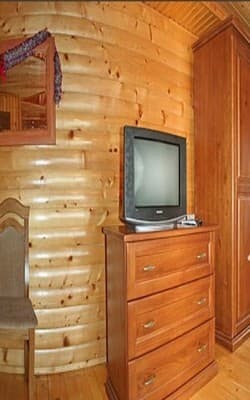 The rooms have comfortable furniture, TV, balcony with a view of the forest. There is a kitchen for self-cooking, equipped with a refrigerator, a microwave, an electric kettle, crockery and a dining room for 10 people. 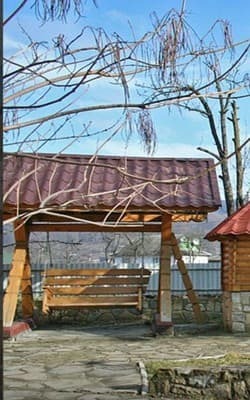 On the territory of the estate "Lira" there is a gazebo with barbecue, swings, parking (4 cars). 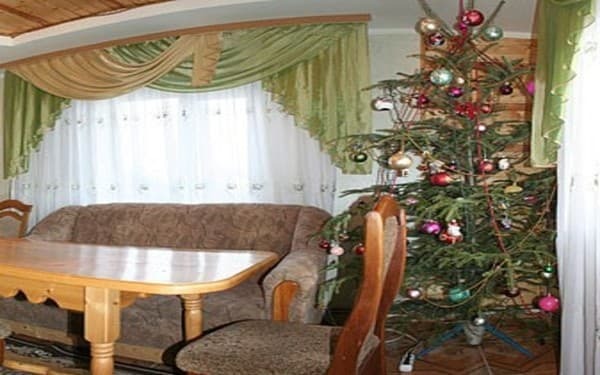 The farmstead is 38 km from the ski resort "Bukovel" and 2 km from the ski lift in Yaremche "Bagrivets". PRICES MAY CHANGE, YOU NEED TO UPDATE THE OPERATOR'S INFORMATION! Description of the room: The total area - 22 sq.m. 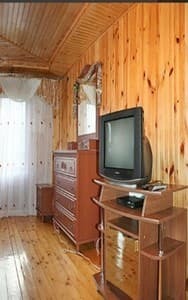 Double bed, satellite TV, shared bathroom (shower, toilet, wash basin, the number of towels - 3 per person). 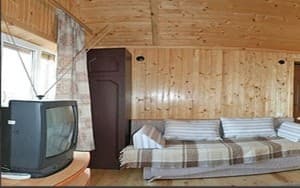 Описание номера: The wooden two-storey cottage, which can take a while to 8 people (4 double rooms), the total area of ​​90 square meters. Wi-fi только на втором этаже большого дома. There is a kitchen for self-cooking, equipped with a refrigerator, a microwave, an electric kettle, crockery and a dining room for 10 people. You can order meals for groups of 4 people. The farmstead is located 4 km from the center of Yaremche. Ski lifts: mountain ski resort "Bukovel" - 38 km., Yablunitsa - 35 km. 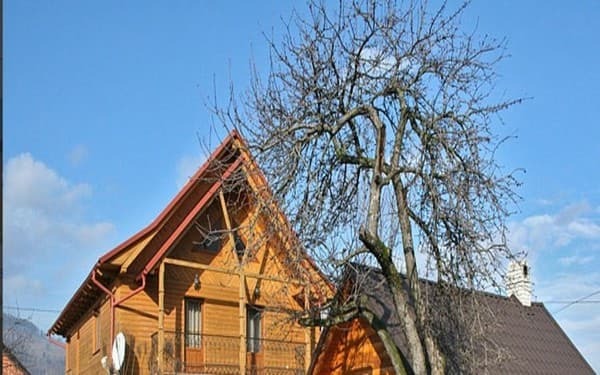 , village Vorokhta - 28 km., Yaremche "Bagrivets" - 2 km. To Yaremche by train, bus, shuttle bus. There is a possibility of delivery from Ivano-Frankivsk. By car: to Yaremche by the highway H-09.